Instead of excessive sun exposure and pollution many other causes can damage our skin cells immediately and make our skin tone darker. Because the melanin level in our skin layer is responsible for our skin complexion and the sun rays damage the melanin.We can have a large list of skin whitening creams and masks in the market but chemicals in these products temporarily give you a wonderful change but could not be healthy for your skin in the future. 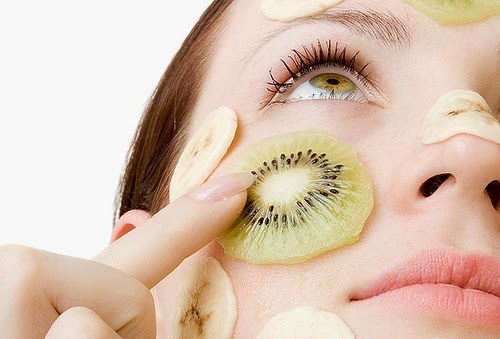 Natural homemade masks are most effective and best for skin whitening. Soak the orange peel off in hot or boiled milk for 2 hours. After 2 hours orange peel off becomes spongy, mash it in milk and make a paste. Apply this paste on your face and neck area and rub with your fingertips for 5-6 minutes then leave it to dry for 15 minutes. Wash with normal water. Within 3 days see the wonderful difference. Make a paste with coconut oil, tomato juice and turmeric powder in equal quantity. Daily apply this paste on your face, neck and arms. Massage with your fingers for a few minutes then leaves it to dry. After 45 minutes wash it with ice cold water. Apply it daily before going to bed. Within few minutes your skin will become clean, clear and fair. Make a paste with 25 g Nigella seeds powder and 250 g Honey. Keep it in a glass jar and daily apply 2 times in a day. Leave it for 30 minutes and keep rubbing after every 5 minutes for 30 seconds. Wash your face with normal water. Best natural skin whitening mask for glowing, attractive and gorgeous skin. Mix Lemon juice and olive oil in equal quantity then mix ½ teaspoon saffron powder in it. Keep it in a glass bottle with lid. Before application mix gram flour with rose water and apply it on your face and neck, leave it to dry for 15 minutes then wash with normal water. After that apply a few drops of this mixture on your face and neck daily. One of the best natural skin whitening mask and fairness lotion. Make a fine paste with yogurt 1 teaspoon, coconut powder 1 teaspoon, dry milk powder 1 teaspoon and 1 pinch of turmeric powder. Massage with it for a few minutes then leaves it to dry after 30 minutes wash your face and neck with cold water. Within few days see the difference. Mix 1 teaspoon cucumber juice, 1 teaspoon lemon juice and 1 pinch of turmeric powder. Apply this mixture on your face for 15-20 minutes and then rinse with ice cold water. Best natural skin whitening face mask and face pack for all skin types. Make a paste with 2 tablespoons almond powder, ½ teaspoon lemon juice and 1 teaspoon honey. Apply this paste on your face and massage in circular motion with your fingertips. Leave it for 15-20 minutes when it becomes dry wash your face with lukewarm water. Weekly application of this skin whitening mask will keep your skin complexion fair and glowing. Dry orange peel off at room temperature then grind it to make a powder. Now mix gram flour and amylolysis (nishasta) in it in equal quantity. Now keep it in an airtight jar. Mix a little water in it to make a thick paste now apply it on your face, neck and hands. After 15-20 minutes when it becomes dry wash it with normal water. Better to apply it daily before going to sleep. Within a few days your skin becomes white and fair. Mix 1 teaspoon of salt in ¼ cup of milk and grab a towel in it and rub it smoothly on your face and neck. Milk is a natural skin bleacher which lightens your skin tone naturally. Peel off fresh papaya and rub the inner side of the skin of a papaya on the skin. Leave it to dry. Wash your face with cold ice water. Being a good source of Vitamin A and Papain, this fruit helps in removing dead skin cells. It helps you keep your skin hydrated. Papaya also acts as a natural skin Exfoliator. The application of finely grounded paste of raw papaya on the face for 15-20 minutes helps reduce those unwanted pimples and other embarrassing blemishes on the face and makes your skin brighter and lighter. The almond milk with its anti aging qualities will nourish your skin, it will remove dead skin cells and it will diminish the look of fine lines and firm your skin. Almonds are high in unsaturated fatty acids, vitamins E, B2, B6, PP. It contains minerals and phytosterols. The highly beneficial composition of almonds evens the skin complexion, removes unnecessary superficial blemishes, protects from wrinkles appearance and makes your skin radiant and healthy, as if you apply almond and milk paste for skin whitening you will get rid of dark spots, bacterial or viral rash, acne scars and freckles. Almond oil and vitamin E in it helps protect the skin from ultraviolet damage and harmful conditions. Rinse with cold water in the morning. Tomato is very good for giving you fair skin tone. Tomato also absorbs excess oil of your face to treat open pores of your face. Mix 1 tablespoon lemon juice, 1 tablespoon tomato pulp, 1 tablespoon cucumber paste and 1 tablespoon gram flour to make a paste. Apply to skin and let sit 15-20 minutes. Rinse with warm water and moisturize. You can use a mixture of oatmeal, tomato juice, and yogurt in equal parts as a facial and body scrub to whiten your skin. Just is mixture on your skin. Leave for 15 minutes, then rinse off with cool water. They are both skin lightening agents. Mix baking soda with honey, apply it as a mask, and let it sit for at least ten minutes. Baking soda is used as an exfoliant. It won’t lighten the skin you’re in, but it can remove sun damaged skin cells that have darkened. Exfoliation takes off dead skin cells. Exfoliation only helps if your current skin is darker than your normal skin tone, because it reveals fresh skin, untouched by the sun. Mix turmeric with some olive oil and chickpea flour to form a paste. Apply the paste to the skin using gentle circular motions. This will help to exfoliate the skin. Leave the turmeric paste to sit on the skin for 15-20 minutes before rinsing off. The Turmeric may stain your skin slightly yellow, but this should quickly wear off. Drinking half a cup of milk with half a teaspoon of turmeric powder powder for one month to get your desired lighter skin. Raw potato is believed to have mild bleaching properties, due to its high vitamin C content best to lighten skin. Simply cut a raw potato in slices or make a paste with these slices, then rub the exposed flesh over the skin you wish to lighten. Leave the potato juice to sit on the skin for 15-20 minutes, then rinse with cold water. Since milk happens to be a good natural bleacher, you can use it to help lighten your skin tone. What you need to do is to add 1 teaspoon of honey, 1 teaspoon of lemon juice, and half a teaspoon of almond oil in some milk and apply it on the darkened skin. Wash off the mixture after about 10-15 minutes. Most of the normal darkening and discoloration of skin is caused by the sun. Wearing a good sun block with SPF will also help repel some of the harmful effects of the sun and help lighten the color of your skin. Or wear sunscreen lotion if you’re going out on a hot day. Drink a 6-7 glass of water a day. Water flushes toxins from the body and may help brighten your skin. Everyone knows that smoking is bad for your health, but not everyone is aware of the damage it can do to your skin. Smoking contributes to premature aging, causing fine lines and wrinkles. It also prevents blood flow to the face, causing it to become darker skin. Alcohol, while healthy for your body in moderation, can dehydrate and dull your skin. It can also increase the blood flow to the skin's surface resulting in a flushed appearance that over time can become permanent.